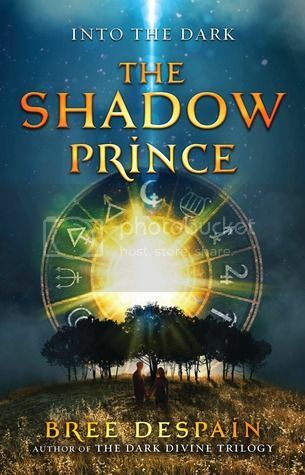 I’ve had a copy of The Shadow Prince for a while now, but I kept putting off reading it until closer to the release date. Now that I’ve read the book, I am kicking myself for having waited so long to read it! This book was a fun book to read. I really enjoyed it, and I can’t wait to get my hands on the next book! Haden Lord has been chosen as Champion in the Underworld, and has been sent to the mortal world on a mission to find a girl, Daphne, who just may help restore the underworld back to the way it once was. With their fates intertwined, it’s up to Haden and Daphne to stop the war between the gods that is looming in the near future. Daphne was a great heroine in this story. This girl really knows what she wants in life, and she’s going after it, no matter what. She’s been sheltered by her mother in a small town all her life. All she wants to do is go out in the world and have a normal life, to become a famous singer with the amazing voice that she has. I envy her all of her determination. I also love her fascination with music. I always find that really relatable in a main character. Haden was a very mysterious and determined character when we first met him in the book. He was willing to do whatever he had to do to have his honor restored by his father. He was taught to always be strong, and to never show emotion, as that is a sign of humanness. He’s never had a chance to be himself before without being punished for being weak. All that changes when he meets Daphne. I enjoyed watching Haden try to act like a mortal boy, especially his using Youtube as a learning device. I’ve read quite a few books that involved Greek mythology lately, and this book by far is the one I’ve enjoyed the most. All of the information about mythology, especially that of Orpheus and Eurydice, is so very fascinating to me. I could keep reading on and on about mythology. This subject is quickly becoming one of my favorites. Overall; I really enjoyed reading this book. If you’re into Greek mythology, and want to read a book that is interesting as well as fun, then you should definitely check out this book. I can’t wait to get my hands on the next book, due out in 2015! Oh, I adore Greek mythology! And the myth of Orpheus and Eurydice is one of my favorites (though it's terribly sad). I'm going to have to check this out!